This unit can be used in the production of stone paper molding, products are widely used and one-time life consumables such as garbage bags, shopping bags, bags, boxes, hands and feet, table cloth, raincoat and dust cover and so on; It can also be used in the production of printing paper, writing paper, cigarette paper, newsprint, glancing paper and all kinds of advertising decoration paper. In addition, the products can be used in building materials, chemical industry and special industries to replace traditional wood pulp paper in many fields with relatively low cost. If you have any question about the environmentally friendly stone paper production line, please contact us directly. We will reply you as soon as possible. We are willing to take you to visit the factory. 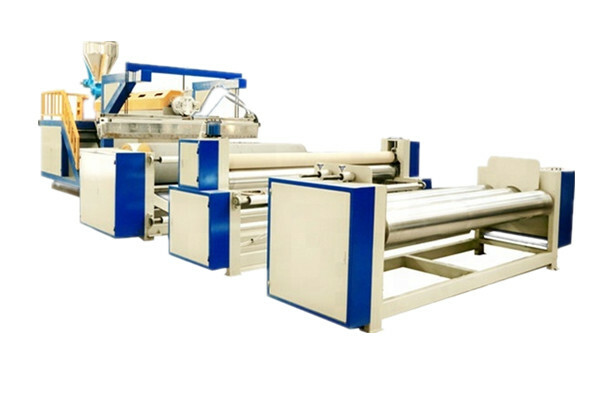 Looking for ideal Stone Paper Machine Manufacturer & supplier ? We have a wide selection at great prices to help you get creative. All the Green Stone Paper Production Line are quality guaranteed. We are China Origin Factory of Environmentally Stone Paper Machine. If you have any question, please feel free to contact us.